The third full-length album of Russian Thrash / Death Metal band. 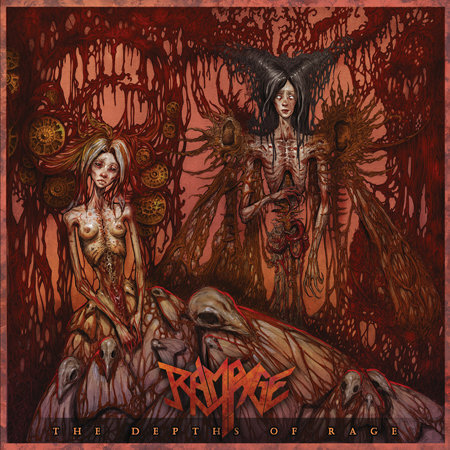 "The Depths of Rage" - strong metal slaughter, richen by plexuses of Thrash and Death Metal. Music has become even faster and more aggressive, in addition to all, complementing with ferocious screaming. The album features 12 killer tracks, different in tempo and level of rigidity, but in spite of the band’s emphasis on the severity of the sound, melodic enough. The album recorded at one of the best studios in Moscow - Play Studio. Eugene Postebaylo, known for his work with covers DEICIDE, had a hand in design of the booklet. The disc itself is decorated with collector's pit-art. For fans of: EXODUS, KREATOR, DEATH, SLAYER.